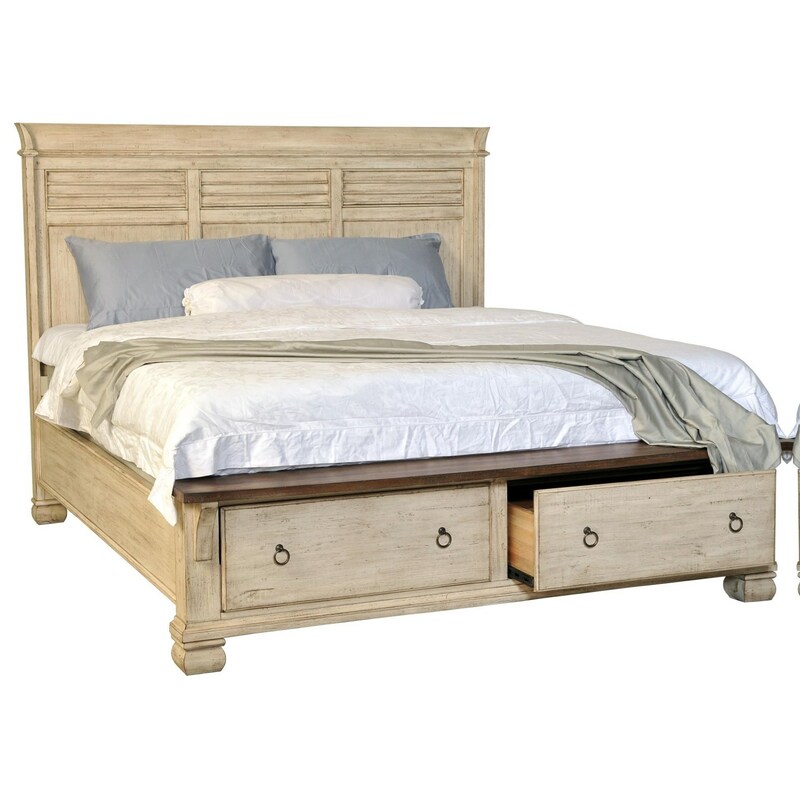 Offering a quaint, relaxed look perfect for a beachy cottage or farmhouse chic inspired home, this king storage bed will make a great addition for your bedroom. 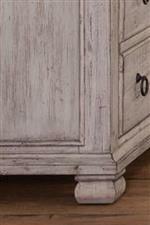 This bed features country details in the shutter style moulding, squared bun feet and distressed, two-tone finish. For added convenience, you'll also find two footboard drawers perfect for extra blankets or overflow storage. 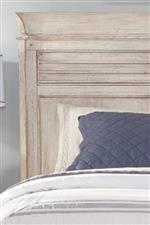 Create the inviting bedroom haven you've always wanted when you bring this shabby chic storage bed home. The Belmont Relaxed Vintage King Storage Bed by Napa Furniture Designs at Zak's Home in the Tri-Cities, Johnson City, Tennessee area. Product availability may vary. Contact us for the most current availability on this product.